Everything you need to know about insulin therapy for type 2 diabetes. Insulin is the most powerful tool available for managing diabetes. It can do the job when pills, exercise, and a careful diet are no longer enough. You might be worried that shots will hurt or that figuring out doses is hard. The American Diabetes Association Guide to Insulin and Type 2 Diabetes gives complete information, and you’ll hear from the experts—people with type 2 diabetes who use insulin. 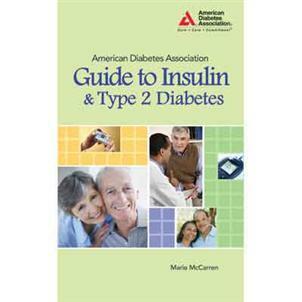 Their advice, support, and practical tips will help you fit insulin into your lifestyle.